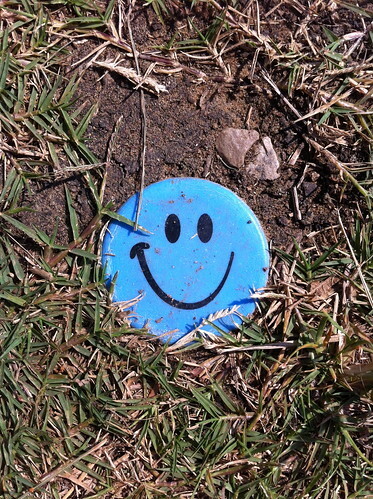 When thinking of the scent of a place, the characteristic local earth is one of the first things I think about. 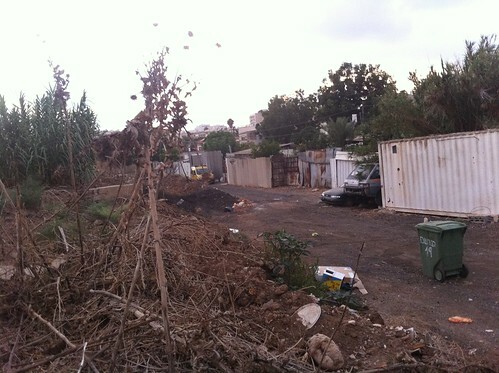 For Tel Aviv, what comes to mind is grass on moist hamra soil. This particular soil is bright red colour and full of sand. 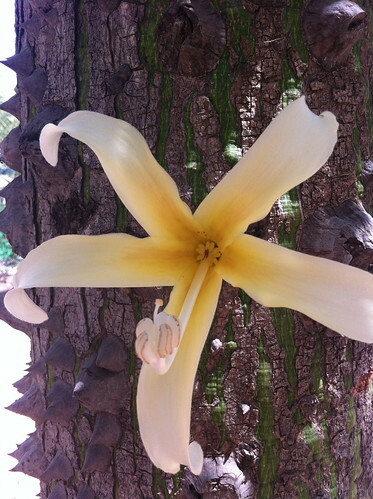 It has a particular smell that is slightly musty when moist, and more mineral than earthy. Mingled with the scent of coarse grass that's in the many striving gardens and parks of the city, it is an iconic Tel Aviv smell. The street scene below is from the not-so-aptly named Rehove HaBosem)(Perfume Street), just a few blocks away from my dear grandmother's home in south-east Tel Aviv. This little piece of shanty town is made up of illegal temporary housing made of wavy tin and scraps of other industrial left overs. The garbage can, bearing the white signage "The Perfume 19" is ironic and immediately caught my eye-phone's camera, for reasons quite obvious. Tel Aviv, aka Non Stop City, is not exactly renown for its pleasant perfumes. Like most places humid and hot, all the odours get amplified, including the non-polite ones such as garbage, urine-drenched street corners, cat-feces rolled in the sands of the sycamore boulevards, and sweaty people in tightly-packed buses. Sycomore figs, ripening on the trees, and further fermenting on the grounds of the boulevards, on benches, etc. Sycamore trees are an inseparable portion of Tel Aviv, and some are many hundreds of years old and are considered protected heritage trees. There was a point in time when these historic trees were attacked by the city of Tel Aviv because the fruit attract flies and bats; now the city has smartened up and forbids any logging or damage to those trees, to the point that some buildings are designed around a tree, in order to preserve it. These are trees that our own grandparents and great-grandparents climbed on and played under their graceful evergreen shade, and our own children can crawl inside their hollow hearts. If you ever visit Tel Aviv, you must seek out these trees and admire them - and if you have little children, they will forever remember the experience of getting inside the "cave" of such an ancient tree. 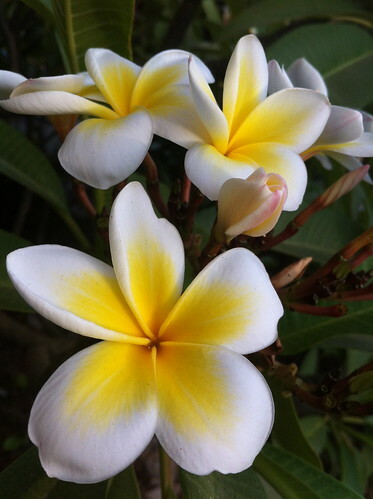 Frangipani (Plumeria alba) flowers, which can be found practically everywhere, are in my mind, a very Tel-Avivi scent. It was here that I was introduced to the flower and its name 19 years ago when I lived here. 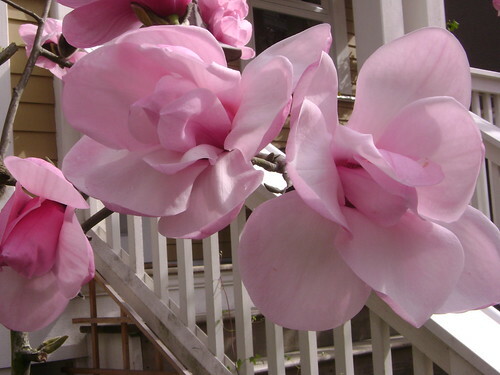 To me, frangipani will always be a coming-of-age scent, and a trigger for happy memories of independence and romance. Banana Ice Cream Bars are a long-time childhood memory from a brief period when I lived at my step-grandmother's in Bat-Yam. My mom took me to the beach a lot back in those days, and did something out of character then, which was to buy me an ice cream bar (she's one of those 1970's granola gals who lives her life in fear of sugar from as long as I can remember) from the ice-cream vendor that would walk on the beaches with a large straw hat and announce his wares carried in an over-the-shoulder icebox. I was glad these merchants are still alive and kicking and made a point of getting ice cream bar for my daughter when we were at the beach (she picked another flavour). The flavour of these banana ice cream bars is very fake, and if anything is reminiscent more of an over ripe, baked banana. If you've experienced Vanille-Banane by Compoir Sud Pacifique - that's bang-on what you get when licking one of these pale yellow treats. 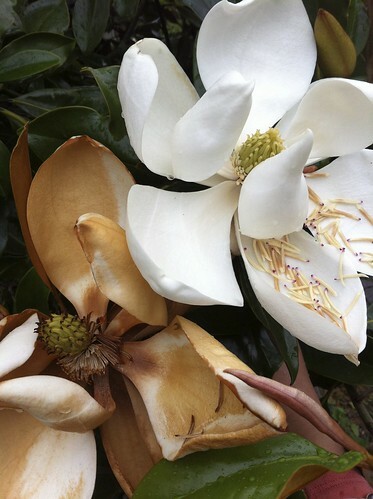 White Chocolate smelling flowering tree. 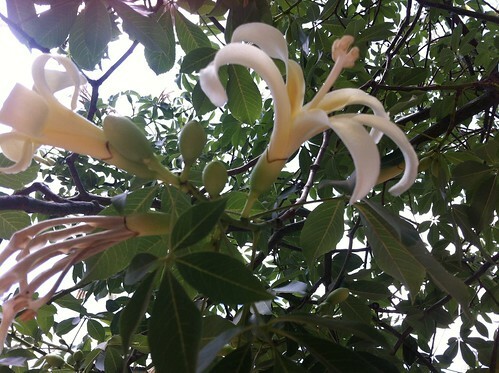 This tropical wonder (not sure of the scientific name) grows on thorny trees, and produces silky cotton-like fruits. 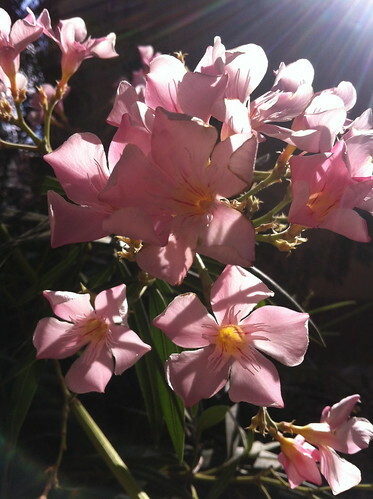 Oleanders, both pink and white, are now in bloom everywhere. 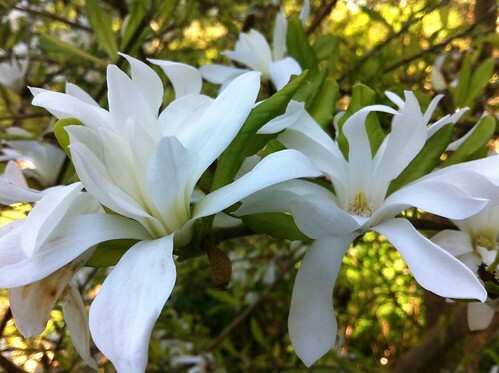 They smell powdery and sweet, a little like hawthorn, but also green and not unlike the fresh/waxy aspects of frangipani. Banana Beach Treat, a photo by Ayala Moriel on Flickr. Wherever I go, this summer is HOT. No matter how you slice it, cooling off is a constant desire that's not easy to fulfill. 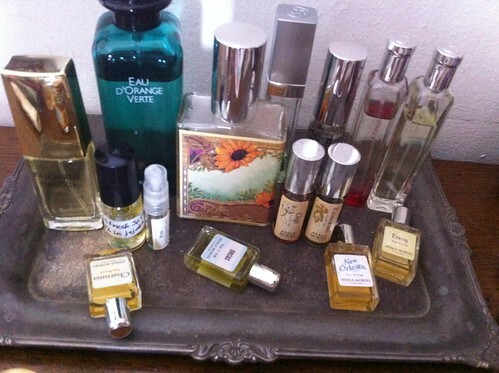 Some scents help, though, and especially these ones, which I have also taken on my sudden travels to the Mediterranean region. Nostalgia at its best, by Comptoir Sud Pacifique: This fragrance reminds me of purchasing a chocolate-banana ice cream bar at the beach, right by the water from one of those vendors with ice boxes that walk the shores trying to entice parents to shell out prime cash for the privilege of eating it right there and then. The salty wind and the direct sunlight would make it melt rapidly, of course, and trickle down the toddlers hands and arms and eventually drop into the sand where they will languidly rest and become a thing of the past. The perfume oil version of Open Source Soap bar of the same name. This beautifully refreshing yet quirky scent combines fresh green notes such as galbanum, lemon and juniper with unexpected notes of mimosa, jasmine and vetiver, creating a fresh yet intriguing fragrance that is a modern twist on an Eau de Cologne. Minty geranium, citrus and spice make this cologne unique, and oh so American. Buy it when you get your tortillas in your town's Latin grocery store, or make your own from the recipes I've quoted from Poucher earlier this month. Surprisingly, patcouli based perfumes fair very well in unbearably hot climates. 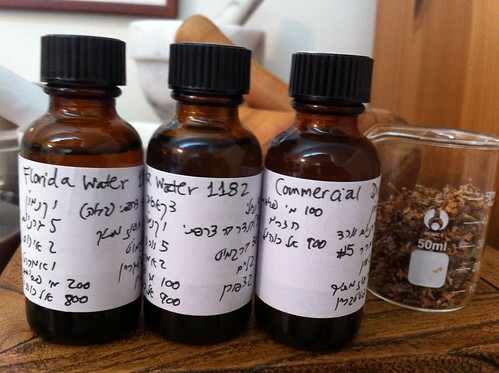 There is something strangely rejuvenating about this earthy note, not quite as cooling as vetiver, but still. This summer, Patchouli Magique is the star of my travel wardrobe. 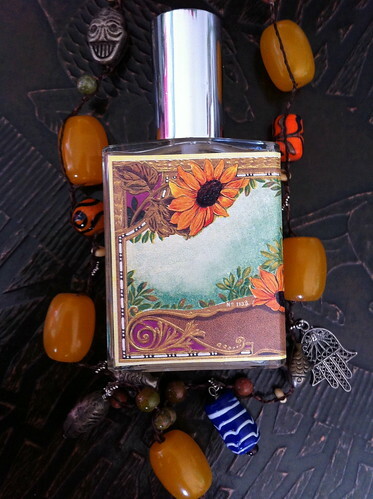 Five brings forth the briskness of mint mingled with orange, cedar and oakmoss. Copious amounts of jasmine-y hedione brings to mind the iconic Eau Sauvage. More on the masculine side, which makes one wish men would wear cologne more often when it's so sticky outside. Hardly ever do I reach for this pale, transparent scent. "Invisible" is the word that comes to mind first when I try to describe it, which is rather disappointing from an osmanthus-lover point of view! However, in the heat of the humid Tel Aviv summer, it's iced-tea coolness provides a veil of sanity amidst the smog, sweat and other impolite scents one inevitably encounters on the streets. Cantaloupes are particularly fragrant this year in Israel, and we've even discovered the equivalent cheese pairing to watermelon and feta: Pecorino and cantaloupe. Try it and enjoy a mini trip to heaven. Un Jardin Apres la Mousson has become a summer staple for me over the years, since it was launched in 2008. I've had a long break from it though, and am now back with renewed enthusiasm for its sticky melon paired with cool spicy notes of ginger and coriander and a tinge of wet vetiver. It's quite delightful and has a cooling effect in the heat and humidity, which is most welcome. This one is a scent that always makes me feel clean, instilling a sense of relaxed well-being and calm amidst the dust, grime and sweat that strikes cities of hot climate. Having this on hand ensures an instant crisply ironed white shirt feel anywhere, anytime. Tropical, exotic floriental that's together is a few of my favourite things: jasmine green tea, osmanthus flowers, spearmint and a smooth woody-ambery base. Surprisingly, the Eau de Toilette formulation lends itself very well to hot weather without losing its poise. If you need to attend a formal event in the dog days of summer, consider this timeless composition of austere quality: iris, vetiver, leather, jasmine, rose, lemon and galbanum. With notes of rose, jasmine and ylang ylang this is bound to be the most luxurious of all the Aveda catalog of non-descript numeral titles. It's floral yet light (at least in the alcohol based formulation) and is a simple celebration of jasmine and rose. 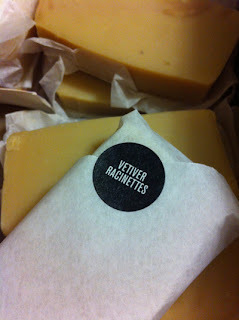 Another bathing gem by Open Source Soap, this is a refreshing melange of verbena, basil, patchouli and jasmine. It's marvelously substantial yet refreshing and like everything that comes from the hands of Shuyler Corry - the talented soapmaker of Open Source Soap - it's very well made from quality materials and does more than it's being asked to do: it doubles as a soap, shaving cream and shampoo! Balancing sweet, tart and aromatic - Etrog is my own little contribution to the world of "eaux". How is your summer coming along? And how are you coping with the heat scent-wise? Florida Water, a photo by Ayala Moriel on Flickr. My own version of Florida Water created early last week was similar to the versions published by Poucher, only with my own improvements - taking my favourite components from both. Its working name was "Commercial Drive Water" because this is where you will be able to find Florida Water in Vancouver - typically in a Latin grocery store! I'm surprised at how sweet and ambery the result is once this has matured. It's not nearly as Coca Cola as I've imagined it to be. 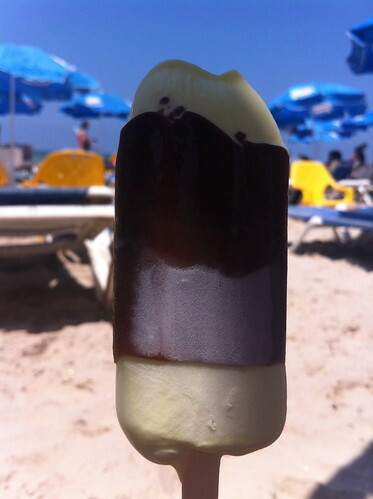 While refreshing nonetheless - and I'm testing it in the high humidity of the city of Tel Aviv at midsummer - the sweetness in it is surprisingly tolerable. I was also surprised to find that Mandarin Ambree (one of the two new colognes from Hermes) to be extremely ambery, bordering on an orange candy affair. 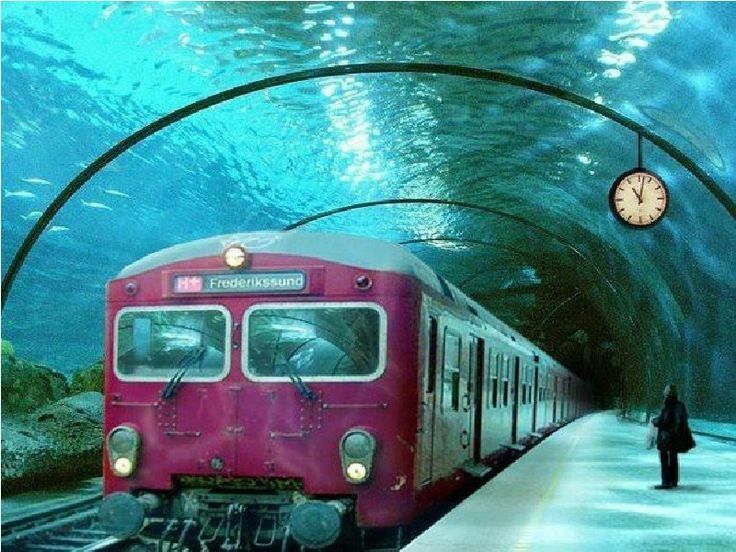 It's not exactly cooling, but it certainly presents a new twist on the eau de cologne theme. It's interesting to note, that cistus has been used in Spanish style colognes for centuries. But that note is not just ambery as labdanum (from the same plant - Cistus ladaniferus), but also herbaceous-woody-pine-like, and therefore a lot more appropriate in the toilette freshness of traditional eaux de colognes. I'd like to explore more on herbaceous ambers in the eau de cologne genre. But more so, I'm inspired to create something to slice through this Tel Aviv slimy weather that will somehow relate to the locale. Visit Architecture of Perfume, Maggie Mahboubian's blog, to read her summary of the panel discussion, show & pop-up shop she organized last month in Los Angeles. I was not there in person, but participated as an absentee vendor with 5 of my perfumes which, according to Maggie's report were "emotionally charged (... and) brought forth tears, smiles and memories". Looking forward to more project together with this amazing collective of perfumers from across North America! 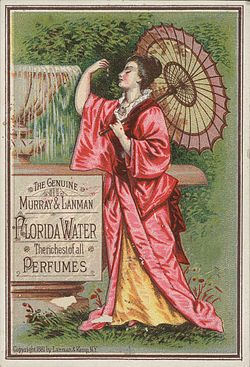 Many years ago, I read about Florida Water in Poucher's excellent book "Perfumes, Cosmetics & Soaps". But it was not till last Thursday, that I stumbled upon big splash plastic bottle of the real thing by Murray & Lanman at an acquaintance's home in Vancouver's East Side. It was a hot day, and I was stressed out running too many simultaneous projects in preparation for yet another long trip (I think I've turned into one of those creatures who "divide their time" between more two or more places. It sounds enticing on paper; but is uber-stressful in reality. 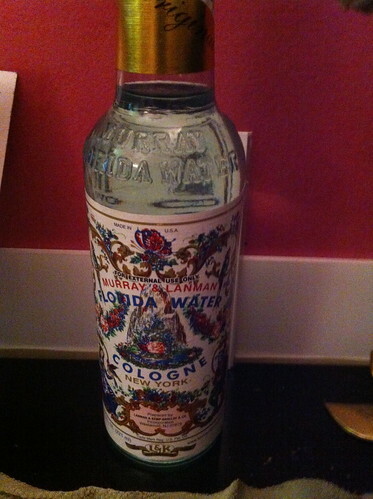 Apparently, this delightful little piece of fragrant history (formulation dating more than 100 years ago, in 1908 - though Florida Waters have been around as early as the beginning as the 1800's) can be had for $20 in Latin stores on Commercial Drive - and even cheaper than this online. I decided to trace back that formula and try to blend it myself this morning at my studio. The morning kinda turned into night and here I am reporting at the end of yet another rather hectic day! I decided to set off to make my own formula, based primarily on the 2nd version (as Poucher considered its result to be a "better product", yet substitute the synthetic rose otto with the real thing (Bulgarian rose otto, to be exact). Additionally, and most naturally, my amber bases aren't synthetic either, and the one I used is my own secret formula (well, it's not that secret, as I've shared it with numerous students: I've decided to use what I call "Amber No. 3"). While both are pleasant enough, and I can only imagine how wonderful they will behave if refrigerated and splashed on the skin on a hot day - they are still rather simplistic, and lack the bracing mintiness that I loved about that Murray & Lanman formulation. They read more as cosmetic preparations (Perhaps facial tonic or an aftershave?). I'll try to pick up a "copy" at the Latin grocery stores on the Drive tomorrow, and if I'm lucky will also try to make my own "Commercial Drive" rendition of this all-American eau. Summer may mean many different things to different people depending on their past memories, background, and country of origin. It can mean longer days to spend with loved ones, sunny days spent by the water’s edge, and rosewater lemonade on the front porch. Or it can mean that there is finally time within your busy schedule (hopefully busy with a balanced mix of work and play) to travel and explore the world. Whether you are planning to fall in love on the Seine River in France, want to swim in Bulgaria’s salty Black Sea, or dream of immersing yourself within the untamed wildlife of an African rainforest; travel nourishes, educates, and frees the heart and soul. It is forever inspiring various art forms, including fragrance. With this concept in mind we have created a travel guide with tips on how to pack for your trip in a way that ensures you will be prepared, will be able to enjoy yourself to the fullest, and will be able to leave a lasting (and fragrant) impression on the people you meet as they leave a lasting impression on you. Included in this guide are products that are ideal for travelling far and wide, hand-picked for all you world wanderers. After all, summer is the season to travel, whether by plane or perfume. 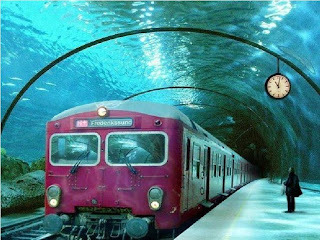 Many people say that it is not the destination that is the best part of travelling; it is the journey that is the most pleasurable. It is not what you go to see but what you didn’t expect to see and find that remains forever in your heart and mind. This may be true, depending on where you are going (Disneyland versus Estonia: the journey is incredibly different) but one thing that is true regardless of your destination, the pre-journey is always tedious, dull, and more often than not, frustrating as can be. 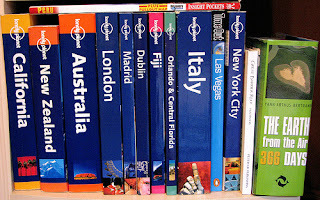 Retaking that photo for your expired passport, vaccinating yourself against the elements, sorting things out at the office and packing up for the trip are all important but irritating aspects of travel. When it comes to bagging your journey necessities, the lighter you pack, the less frustration you are going to have pre-vacation. It is just crucial that you pack smartly and appropriately for your journey. With that in mind, here are five rules for packing, to ensure that you are as headache free as possible and that you are able to get as much as you possibly can out of your trip. Just in case - pack up some essential grooming supplies with you on the plane. You never know- you might get stranded en route to your final destination or need to freshen up before landing. 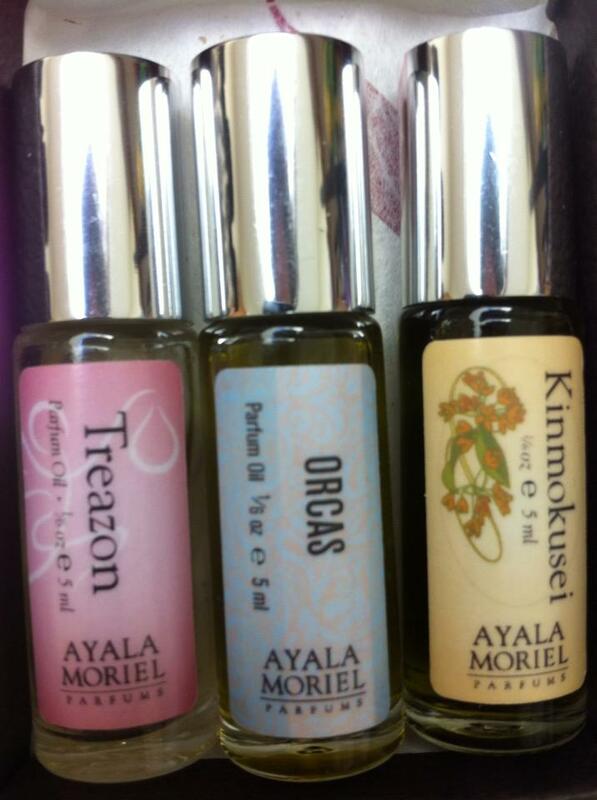 Our body oils, available in 6 unique scents, including the new Zohar Anointing Body oil - are all natural. Their non-greasy formulations will keep your skin smooth and hydrated. And for that frizzy hair from hours of dry airplane air, Orcas Beard Oil can be also used to condition your locks. Only bring the toiletries that you need from home that you cannot buy at your destination. The majority of the times, hotels have shampoo and conditioner. It is simply a waste of your precious bag space and time to bring bottled shampoo to the airport. Watching as my bottled hair products were tossed by security and having shampoo leak throughout the inside of my bag are only a couple of the headaches that I have experienced when packing bottled cleansers for travel. For those who aren’t going to be staying in a hotel and who need their own cleansing products – bar cleansers pack well and can last for weeks and weeks. They are versatile, easy to pack and will not offend airport security. Film Noir Soap Bar will not only scent your skin, but will also keep moths away from your suitcase thanks to dark patchouli. Vetiver Racinettes Soap Bar is refreshing with notes of ginger and pepper. To top it off, both double as shampoo bars! Spoken with the experience of two curly-haired women. You will not wear everything you pack, regardless of what you bring. Even if you strategize every ensemble right down to your knickers, you have varying moods and you are going somewhere new. You will not know what you will really want to wear until you are there, immersed in the culture and weather of your destination. Most people who travel find themselves wearing the same couple of outfits over and over again because they are comfortable and effortless. A way to ensure that you are packing lightly but effectively is to bring six to ten comfortable pieces that can mix and match together, and then express your creativity through jewellery (small and discreet to pack). 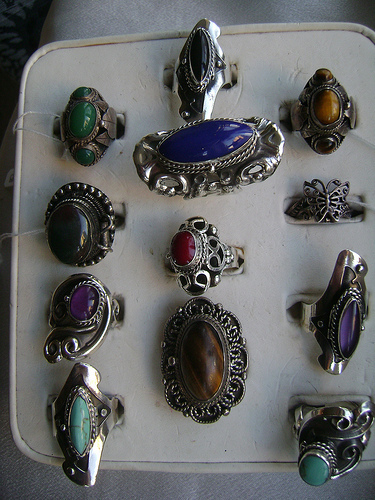 Clothes are your canvas and jewellery is your palette. Red Jasper Mexican Poison Ring and the Aztec Triple Jade Poison Ring will upgrade your travel attire and are instant conversation pieces: each ring has a secret compartment that opens to reveal a solid perfume within. Experiencing the sights, sounds, smells and tastes of a foreign country is enriching and exciting. 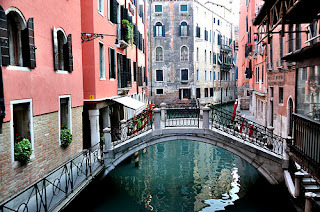 Nonetheless, travelling to a different country can be like visiting a different world. Customs are completely different and food, drink, and accommodations are often completely unrecognizable in relation to home. 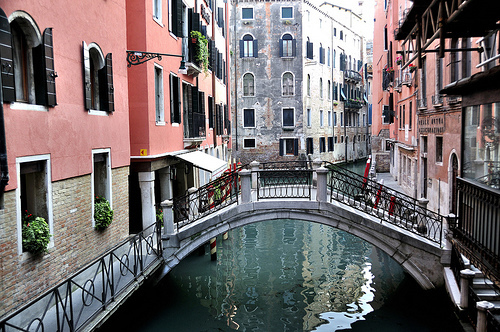 No matter how incredible a place is, it is natural and expected for one to experience homesickness while away. To combat this it is a good idea to keep a couple of compact comforts from home stashed in your purse at all times. Vetiver Racinettes Travel Candle is our newest, cutting edge candle with clean notes of kaffir lime leaf and cooling woody vetiver and fresh ginger roots. 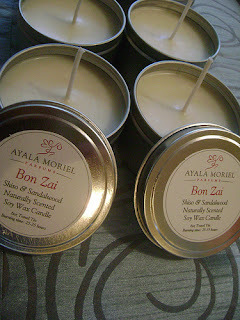 You may also choose from our other refreshing summery scents: Bon Zai Travel Candle, with notes of shiso and juniper; and ArbitRary Travel Candle, with lime, basil and jasmine floral wax. For those who can’t live without their favorite scent (join the club), travel sized roll-ons or compact solid perfumes are your best bets for several reasons. One, larger fragrance bottles are more apt to break/leak in your suitcase. With solids or itty-bitty roll-ons there is no need to carefully pack up any fragile bottles; simply toss in your purse or carry on and go. Two, it is highly unlikely that anyone would even be able to make it through a 30-50 ml bottle of perfume while on vacation anyways, so it is simply a waste of suitcase space. Three, they are often thrown out by security when people forget to take them out of their purse or carry-on. For those who doubt that this happens, ask my aunt Jackie who has had an entire bottle of Chanel No 5 confiscated and tossed out while going through security at the airport(and that stuff does not come cheap!). One extra benefit to wearing roll-on or solid perfume is that the potential to over-do your favorite scent is significantly decreased as it is delicately dabbed only on your pulse points. 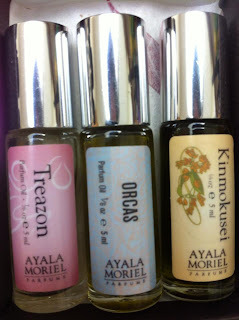 Parfum-Oil Travel Sized Roll-On now also available in Orcas (to celebrate the 2nd anniversary of this 2012 Indie FiFi Awards nominee) and Purse Parfum for the most precious and exotic offerings such as Treazon, Gigi and Kinmokusei. You may also want to mix & match to create your own Bon Voyage Roll-on Trio, and take advantage of our 15% off! Just as you are enriched by experiencing the nuances of another culture, the people native to your destination are most likely interested to know about where you come from and friends in foreign places are always beneficial. Packing a small amount of stationary and gender neutral gifts will allow you to leave a positive and lasting impression on the people that you meet while on your journey. 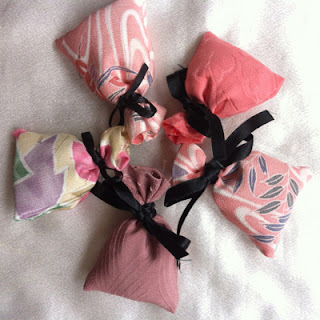 Hanami Sachets are hand-sewn from vintage kimono fabric and are filled with a proprietary blend of precious dried botanicals. Used to scent linens, lingerie and stationary, they make a perfect token for your hosts. Wishing you a wonderful summer, and safe travels!